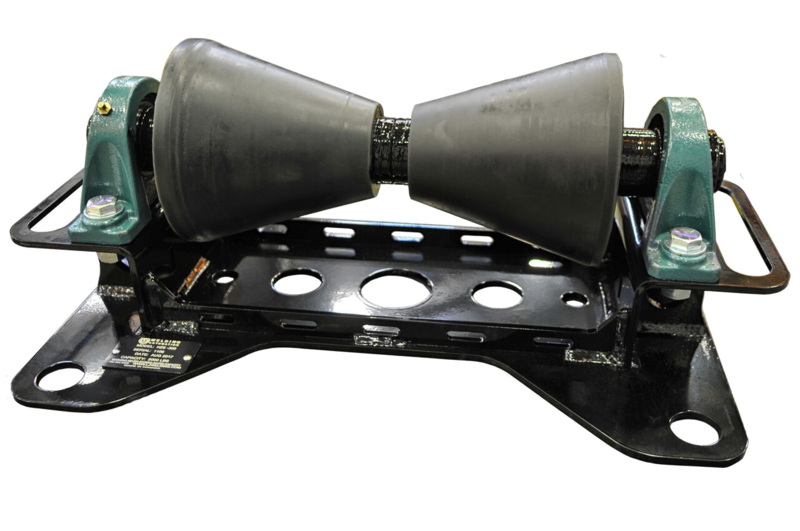 Pipeline rollers are designed to protect, support, and guide a pipeline section during river and road crossings. 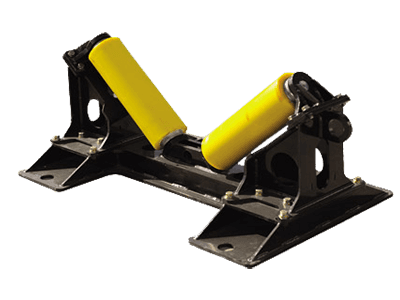 Pipe guide rollers help minimize drag forces of pipe-pulling through horizontally drilled or bored holes. LJ manufactures conical or conveyor roller style pipe rollers for applications ranging from 2″ light walled HDPE piping up to heavy walled 48″ pipe with capacities ranging from 1,000 to 80,000 lbs or greater. Pipe Roller Diameter Range: 2" - 24" 4" - 48" 4" - 48" 4" - 72"
Shipping Dimensions: 26" x 16" x 8" 61" x 30" x 22" 63" x 43" x 22" 71" x 56" x 32"
Pipeline rollers are used for pipeline crossings and pipeline drag sections, as a method of protecting the exterior of the pipe for pipe up to 48″ OD. 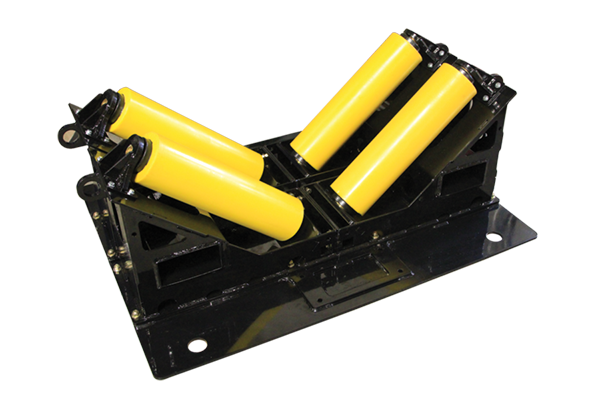 Pipe guide rollers also help minimize drag forces of pipe-pulling through horizontally drilled or bored holes. 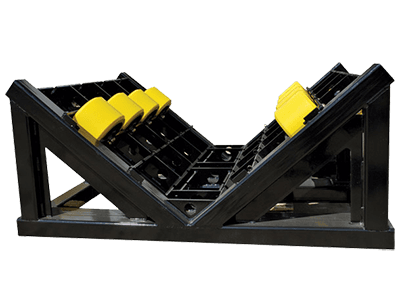 Pipeline cradles are available for smaller diameter pipe up to 12″ OD.